OK so I have spent to much time and given myself far to many hand blisters sawing through this root to give up on it now. 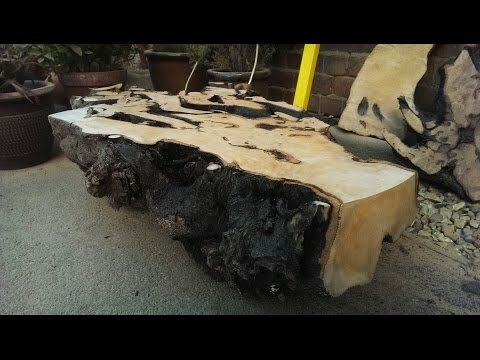 The original plan was to create a circular coffee table with a glass top but things have changed and now I need your suggestions on what I should do to salvage the root and get it into a working project. Sometimes things like this happen for a reason so lets try and create something cool out of this disaster. Awesome working wind mill, school project . diy .